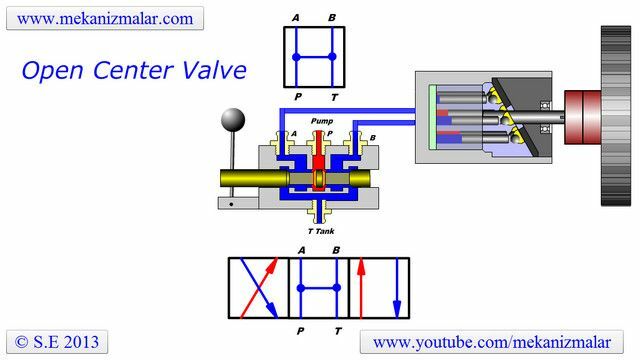 Flash Animation of Four way Three position Open Center Valve. The Four way, three position, Open Center Valve is an important component in hydraulic circuits for controlling flow direction. 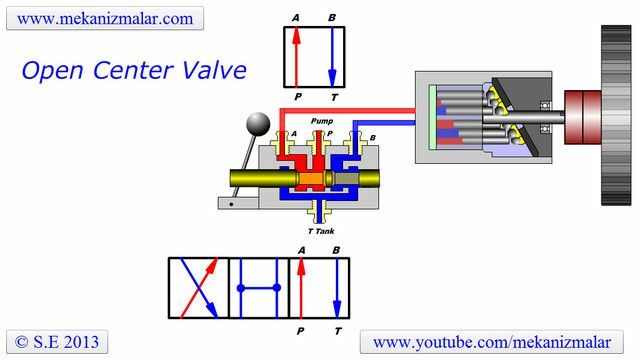 In this animation we wanted to show how the direction of the oil flow changed with the different positions of the handle.